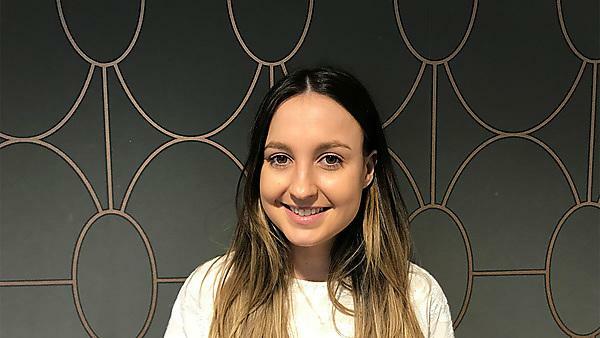 After graduating from LLB (Hons) Law from Plymouth in 2017, Shannen Trout is now studying for her LLM Maritime Law masters, before going on to complete a training contract with the International commercial lawyers Floyd Zadkovich, based in New York. Discover why Shannen chose to study at Plymouth and find out how her lecturers helped inspire her to find a passion for maritime law. “One of the reasons why I chose Plymouth was because my brother had studied at the University and had recently graduated with fantastic results. Alongside this, the sense of community I felt on open days and during visits made me want to attend and dispelled any nerves that I had about starting my further education away from home. In hindsight, I was right in how I felt during those visits; Plymouth has the strongest student community I have seen at any university that I have since visited or studied at. This strong student community made my time at university fun, all while enabling me to excel in my studies. Studying at Plymouth made me want to work to the best level I felt possible, and the amount of support on offer helps you to excel in all areas of student life. My lecturers really inspired me. The law school offers so many skilled, interesting and fun lecturers, something that is of great value when you’re studying what can be at times a very dry subject. They helped me discover my passion for environmental and maritime law, which pushed me to study my LLM and get my job with Floyd Zadkovich. Without the support from all of the staff at the University, from the ladies that make coffee in the SU, to my lecturers who were on hand at all hours for support, I would not be where I am today. The confidence in my own abilities in my subject area, my passion for the subject and my work ethic all grew under the supervision and guidance of my lecturers. The support systems in place at Plymouth are amazing. Between lecturers, personal tutors, and all other staff on campus, the help I received during hardship and times when I needed assistance academically was beyond what I expected when moving away from home for the first time. This is without doubt something that I have not experienced in other institutions. An example of the resources you can utilise at the university include the help and assistance from the library staff. I used these library services on multiple occasions for coursework, as well as the completion of my dissertation. This dissertation is now published and without the help from the library staff and the vast amount of resources in the University library I very much doubt that would have happened. As well as this, Careers and Employability helped me with my CV, and with advice on studying abroad. I also had help from outside organisations such as Westlaw and Lexis who carried out skills lectures which have also enhanced my CV. Things like this are invaluable when studying for an undergraduate degree and I am very lucky to have had this experience. Studying is often quite hard and tedious, and as much as I enjoyed getting my degree it was made a lot more enjoyable by the social activities and events put on by the UPSU. If I were to start University again, I think joining a society would be something I’d do differently. Plymouth has such a wide range of societies, and offers something for pretty much everyone. Luckily, even without being a member of a society the UPSU put on such a range of social activities; and it is because of this that I have made so many amazing memories. Too many to only give you one! I would therefore recommend Plymouth 100,000 per cent – it is somewhere I would, and do, recommend on a daily basis to students. I have finished my undergraduate degree with great memories, a fantastic degree and lots of lifelong friends which I would not have had if it were not for studying here. Since completing my studies at Plymouth I spent some time travelling during the summer before I had the pleasure to begin my postgraduate studies at the University of Southampton. I am due to complete my LLM in Maritime Law in the summer of 2018. If I could have the chance to get some more travelling in after graduating, then that would be something I would change; fortunately though, I am going to have a bit of time in between training over the next few years to do some exploring. After graduating from Southampton I am going on to study my LPC and complete a training contract with Floyd Zadkovich. I am set to spend a month over the summer doing paralegal work there, and then complete my training contract in New York. This opportunity to practise and train in the US is a really great experience, something that people normally only dream of doing, so its super exciting stuff.